Every year one event that brings hundreds of Inglesiders together for a relaxed, joy-filled meal is our annual Church Picnic. I hope you have already marked your calendars and are planning to be here Wednesday night, June 24. Not only is there really good food, but there is great conversation, singing, praying, mission team commissioning, sharing the Lord’s Supper, and . . . the celebration of believer’s baptism. The significance and benefits of being scripturally baptized are multi-dimensional. Individually, it is a major spiritual marker that indicates I am ready to openly identify as a Christ-follower and obey him as my Lord. But, it is more than a merely personal act. When I am baptized, I am taking my stand with other believers in the body of Christ. I am affirming my commitment to a community of faith, the church. To unbelievers that may witness my baptism, it is a powerful picture of the heart of the gospel – the death, burial, and resurrection of Jesus. And, of course, Scriptural baptism brings great glory to God! 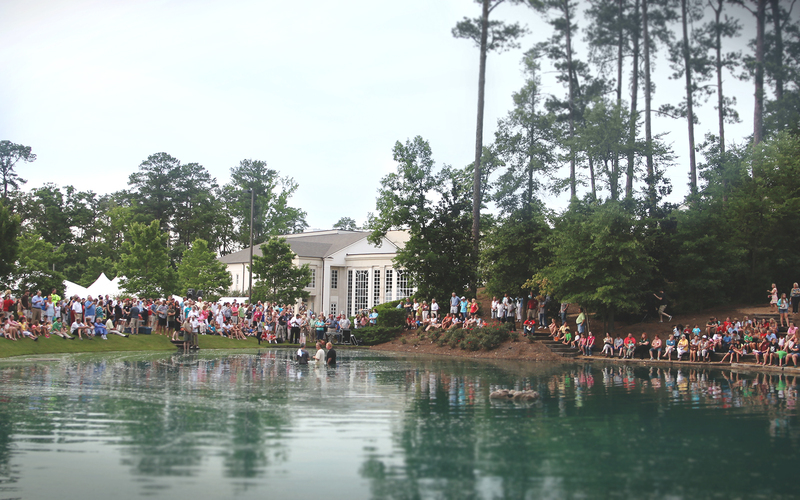 So, if you want to be baptized at the lake on Wednesday night, June 24, contact our Membership Pastor, Mark Hudgins (mhudgins@ingleside.org; 478.477.7251). He and his assistant, Hannah McGehee (hmcgehee@ingleside.org), will help arrange a conversation and can provide all the details. I look forward to seeing you on Wednesday, June 24 for a great evening of fellowship and worship.